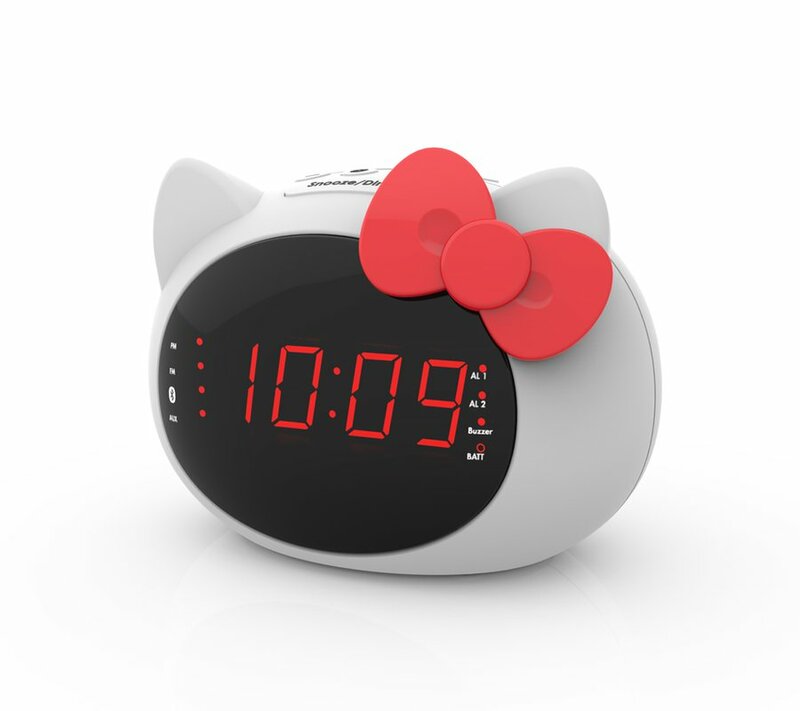 Wake and sleep to your favorite tunes with an alarm clock designed especially for iPhone 5 users! Shaped like Hello Kitty herself, this dual alarm clock is equipped to charge and play your device night after night. Developed by the audio experts at iHome, this clock sounds just as great as it looks!